If you need a specialized and highly experienced Ventura DUI attorney, our firm stands ready to assist you. Serving clients facing DUI charges in Ventura, as well as DUI-related DMV license suspensions, the Law Offices of Taylor & Taylor is considered to be one of the premier DUI law firms in the country today. The firm has received the highest ratings from AVVO and Yelp, and has received the International Martindale-Hubbell AV rating (“very high to pre-eminent”) for ethics and competence, the highest awarded and one shared by less than 7% of lawyers in the U.S. The firm’s DUI attorneys are highly experienced in criminal prosecution or defense; our attorney representing clients in Ventura has 24 years of DUI defense experience. Each attorney is supported by a technical staff of two former law enforcement officers, a breath alcohol expert and a former DMV hearing officer. Recognizing the firm's excellence, the American Bar Association Journal has twice featured the Law Offices of Taylor & Taylor for its specialization and unique support staff of experts. 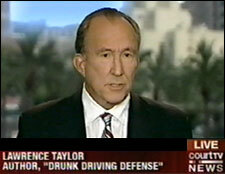 Lawrence Taylor is widely known as the Dean of DUI Attorneys . A Berkeley (University of California) and UCLA School of Law graduate, he served as a prosecutor, law professor and Dean of the National College for DUI Defense. He is the author of the best-selling book Drunk Driving Defense, 7th edition, and has lectured to lawyers at over 200 conferences, seminars and conventions in 38 states. Mr. Taylor is today one of only four California attorneys who have received ABA-approved board-certification as a DUI Specialist. For 13 of the past 15 years, he has been named one of the region's Super Lawyers in votes by over 65,000 Southern California lawyers. Let our highly-rated DUI defense attorneys assist you through this ordeal. The reputation, experience and courtroom skills of our DUI lawyers are well-known. But at the law firm of Taylor & Taylor, our focus is always on personal attention to the client. We invite you to review some of the many comments we have received from our valued clients, along with a few examples of our successful results in their cases, and to call our firm’s founder, Lawrence Taylor, or our Managing Attorney, Chris Taylor, for a free consultation. For additional information about DUI laws and license suspensions in Ventura County, including Simi Valley, please feel free to browse the many informative pages within our main website, covering such topics as field sobriety tests, breathalyzer accuracy and DUI license suspensions. For further assistance in finding the services of a qualified DUI defense attorney, please feel free to review our answers to the frequently-asked-questions “How can I find a good DUI lawyer?” and “What does it cost to retain a DUI attorney?”. We invite you to contact our Torrance office for a free consultation about your Ventura County DUI criminal charges and DMV driver's license suspension. 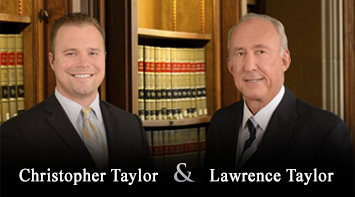 The Law Offices of Taylor & Taylor serves clients throughout Ventura County, including residents of Oxnard, Simi Valley and Thousand Oaks.